WCS Hub - Tips and Tricks for Websphere Commerce: Already registered in other site and cant register/login in extended site? Already registered in other site and cant register/login in extended site? So , here is the issue I faced. As part of the standard WCS7 installation , the Madisons store published and ready for used. 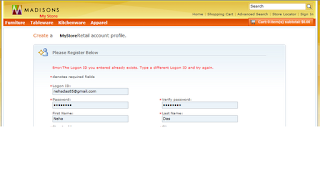 I registered my email address (I prefer using my emailId as the logonId) in the Madisons store and explored its features. 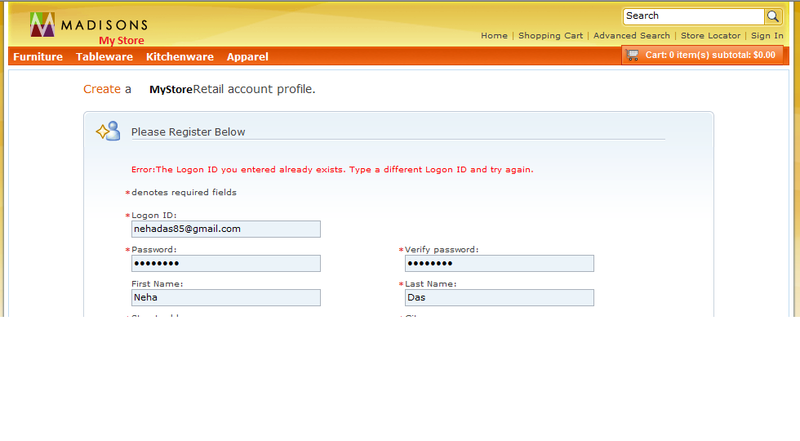 Then set-up my extended site (MyRetailStore) and tried to register the same email address , the obvious happened - It did not let me register because the logonId already exists. So , next I tried to log in to the My Store but it did not let me login saying that I have no authority to log in to the store. Have you faced this issue as well and dont know what to do? Handy Tip: You can avoid all this by choose the option below at the time of new store creation.